Using only quality products that are proven to last and built with expertise and care, the rural fence systems offered by All Hills Fencing cover a range of utilities from post and rail, livestock and hinge joint range and farm gates. All Hills Fencing keeps stock in, pests out or native animals off Australia's roads – rabbits, snakes, koalas, dogs, foxes, horses, cattle, goats, sheep, alpacas and deer. Available in hardwood, treated pine and powder coated steel All Hills Fencing have a range of post and rail fencing concepts that go from the purely functional to the proudly ornamental. 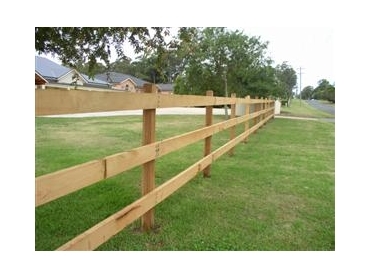 With a wide range of purpose designed netting, timber or steel posts, star pickets, wire and barb options available, livestock or hinge joint fencing systems, All Hills Fencing will ensure customers get the right quality finished fence at the right price. Regardless of the type of property, All Hills Fencings range of farm gates brings out a sense of style to complement the property.